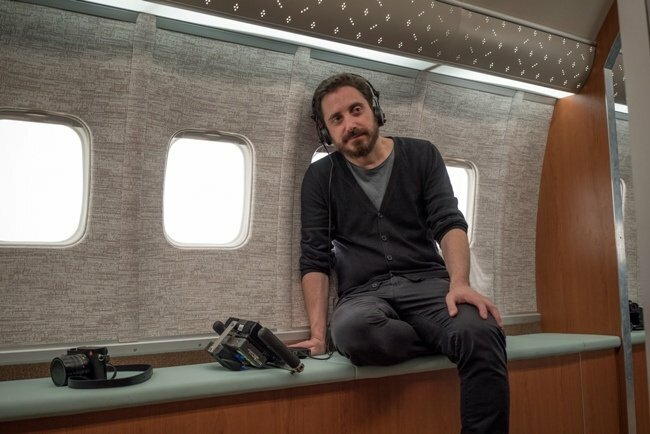 Previously known for his 2012 film No and 2015 film The Club, Pablo Larraín has sprung into the limelight this fall as Chile’s star filmmaker. The director attended Fox Searchlight’s holiday party in New York last week and chatted with journalists and well-wishers who congratulated him on the rave reviews for his first English feature film, Jackie, especially for the performance of the film’s star, Natalie Portman (a shoo-in for a Best Actress Oscar nomination). The second of two films Larraín has coming out this winter season, Neruda, is his fantasy take on his country’s most famous poet, and Chile’s submission for Best Foreign Language Film. At a roundtable interview held in November, I discussed with Larraín the many facets of the film, including his star’s performance, how he immersed himself in the period, and his desire to staunchly guard his independence as a filmmaker even when Hollywood inevitably comes knocking. Talk about the challenges of telling a story that people think they know so well and then presenting it in a different light. Pablo Larraín (PL): I guess that’s the story of cinema somehow. There’s a lot on public record and a lot of information we can all access; in those days it’s especially incredible how accurate the information was. You can know minute by minute [how an event] happens. But then there are the things that happen behind doors, and that’s where fiction starts and where you have your job. Otherwise, it would be a documentary, and that’s not what we do. I guess the whole point is to instead of trying to tell people things they don’t know, trying bring a specific emotion and mood. Because it’s all there, how this woman became who she was. She’s a tragic figure who put her entire country’s grief on her back and walked with it. Is there some evidence that she basically created the Camelot myth herself after JFK’s (known as Jack) death? PL: There is evidence, attributed to a journalist called Theodore H. White, who wrote for LIFE Magazine. Jackie asked him to come to the Kennedy estate for an interview the week after the assassination, and she told him that [when he was alive] Jack would play the music from Camelot. [Camelot creator and writer] Alan Jay Lerner was Jack’s roommate in college, so he knew that musical and would play the record, especially the last track, which is the one that has the legend and the myth idea. At some point when I was starting production, I asked if somebody could get that record to listen to it. Then we got it, and I couldn’t believe how interesting it was. Then I understood what this was: I’m not American, so I don’t have the Camelot myth in my bloodstream as many of you guys do. So I needed to understand [this] very well in order to make the movie and to deliver that idea at the very end of it. I think it’s a very interesting idea because America is a country without royalty, like my country, like all the countries that were colonized in the last 500 years. But the Kennedys somehow became the royal family of this country because the people wanted and needed it. But it’s very perilous, because it’s a queen without a throne and—at some point—a queen without a king, and a very special tragic figure. Why do you think you were chosen to tell this American story? PL: Darren Aronofsky was the head of a jury in a film festival in Berlin last year, and I had a movie there [The Club]. We met at the after-party, and then a week later he sent me the script. I asked him, “What’s Chilean about this?” He said it was an interesting opportunity to have somebody who was not American looking at this with some distance and just connecting with the key of the story, which are her emotions and her path. I guess it’s the story of a mother and how she would not just be the mother of young children but at some point the mother of everybody around her—the mother of the whole country. I feel she opened this huge umbrella, and these people just went to her. She had the strength and the human beauty to move on. I still don’t know how she did it. After what she experienced, I don’t know how you actually do that. Being from another country and being born long after this happened, how much knowledge or interest did you have in the Kennedy story? PL: I knew of course who they were and who Jackie was, but I had a very superficial idea about her. I had this idea of this woman who just worried about style and clothes and fashion. Then as soon as I got involved, I started reading and researching, and I discovered one of the most interesting women ever. It’s her level of sophistication. She was a very educated person. She spoke at least four languages. She had an incredible political instinct that I bet a lot of contemporary politicians would love to have at least one-third of—it would be enough for all of them. She had these sensibilities of communication, and she cared about history, which is something I do care about and respect. She was a woman that you could dig and dig and learn [about]. You can read biographies; you can talk to people who met her; you can read interviews, but you will never know who she really was. She was a woman who had an incredible amount of mystery, and that is always very attractive to cinema. The film is not the traditional definition of a biopic. At times it even feels like a horror film. Talk about your approach. PL: I’m not into biopics. Miloš Foreman makes wonderful biopics, but if you really look at them they’re fictional takes on those people, like Man on the Moon or Amadeus. I never intended to make a proper biopic. I understand that in order to communicate you use that word, because it’s a movie about someone who actually existed. Instead of just trying to really tell a story about Jackie and who she was and sort of have a larger picture of her life. We just focused on four to five, maybe six days—it’s hard to tell—of her life and tried to feel what she felt. Talk about Natalie Portman and her performance. PL: I always thought she should play the role. From the very beginning I kept asking for her, and then Darren arranged a meeting. I met her and we started working. Of course Natalie has the style, the beauty, the elegance, the sophistication that Jackie had. Natalie is someone for whom, on camera, it is very, very hard to know what’s really going on inside her; that’s where you feel there’s something that’s not complete. The audience are the ones who actually complete that. Of course it’s a great performance. 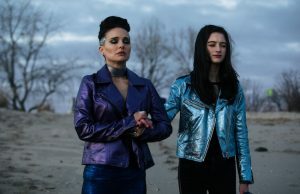 Technically, she can play the voice, and do a lot of things that are very important, but they are not the essential things you need, which is how to handle her grief and how to hold it and how to make her eyes Jackie’s eyes—the door to that unknown existence of terror that she was experiencing. There’s so much kinetic energy in the film, especially in the way that Jackie is walking and keeps moving. Talk about why you had her constantly moving. PL: She walked in a very particular way, and she would move in a very particular way. It’s even more particular than the way she spoke, I guess. So once we had that, we understood that she would move in a specific way for reasons, and create a psychological background for that fiction. PL: I don’t do rehearsals. So from the very beginning her performance was a happy surprise to you? PL: Well, yeah. 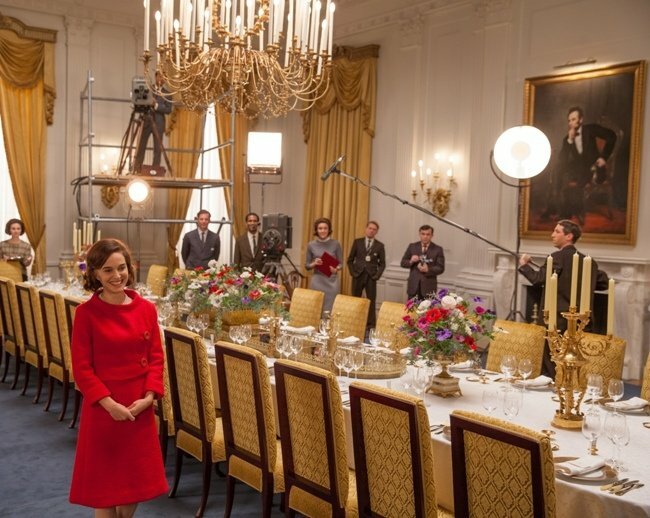 At the beginning we were shooting in the interiors of the White House, and I remember we had a wider shot on her, and then I said, “Natalie, just come closer,” and then we had a medium. And I said, “Closer, come closer,” and then we got a very tight shot. I understood how to approach the character and how to work with Natalie throughout the closeups. There was a specific sort of position and speed, I think, that was connected with the motion and the way she moves and breathes and looks at things that was more expressive in the closeups. Then we opened to a more regular filmmaking, but if there’s a moment where I felt confident it could work was that moment when we had her very close and somebody would open the door—another character—and it was out of frame and she was just taking it in. Then we went to the rooftop of the White House, and Peter Sarsgaard, as Bobby Kennedy, says, “They want the Oval Office. We’ve got to move, no procession,” and she was taking it and taking it. At some point she was about to explode, to just melt, but she would keep standing—that’s strength. That’s in her eyes. This is a very lean script that doesn’t feel overly burdened with dialogue. Was that your method and what you were consciously going for? PL: It’s very hard for me to do rehearsals without cameras and without the costumes and the hair. The real tension starts when there’s a real camera involved. There are great directors who do rehearsals and it works, so every method is possible, but that’s mine. I never have a very clear way of how I’m going to block a scene until I’m there, so it’s always a process of discovering the mood and rhythm and tone of the scene once we are all there. I don’t know exactly where the movie’s going to be, so I just sort of harvest different ideas during the shooting in different ways and different perspectives, and then it’s organized in the editing room. 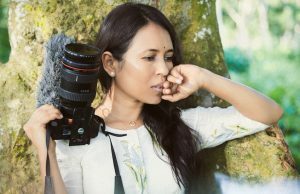 Has that been problematic in your career? Because certainly producers and studios want to know exactly what’s on the screen ahead of time. PL: I won’t be working with them. Your production company, Fábula, was also involved in producing the film along with other companies. What’s the difference in producing here and in Chile? Are there many differences? Jackie is in theaters now, courtesy of Fox Searchlight.